Initial design is not important in a mobile office. Provided that includes all the functions required, a mobile office will remain in demand in accordance with their needs. This is a visible shift in the middle to see if the trend that began considering the design as one of this type of phone. Luxuriously first emerged from the selection of appropriate materials. Material in the glossy surface of the metal and plastic effect in some other corner of the shed is able to impress glamor, without coloring the confusion. Point will be the main concern is the slider mechanism reveals the side that will be a qwerty keypad array equipped with some light computer keyboard for the withdrawal. It is a little unique will find when we change the SIM card and additional memory (micro SD). Not placed in a room with the battery compartment but placed under the slider. Benefits, we do not need to turn off the phone while changing the sim card and memory card. HTC S740 is a smart phone-based Windows Mobile 6.1 Standard Smartphone. 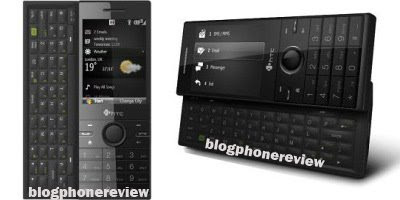 Views inter face is a little different phone with a PDA diasuh by Windows Mobile Pocket PC. Screen that presented the withdrawal is not too wide most of the phone business. In the default condition, will be shaped profile portrait. However, when digeser fold, the 65,536 color TFT screen beresolusi QVGA will change into landscape orientation. S740 processor using a high speed, ie, Qualcomm MSM7225, 528 MHz. Memory space with 256MB ROM and 256MB SDRAM, this has accelerated the phone can be spelled out quickly. Both the time shift from one function to another function, and when you open one of the features provided. Have the ability to execute various types filedocument that we always use. With Mobile Office features of the word documents, exel and even power point we can open and edit on the phone. S740 is equipped with latest communication facilities. There is a high-speed Internet network via WiFi and HSDPA is a real evidence. Browsers that are Internet Explorer Mobile, mobile phone-specific Windows Mobile smart phone. For connection between devices, S740 offers a means of data cable to the Bluetooth profile and also complete with the latest profile. There is no problem with all types of facilities, including the ease in doing sinkronasi via ActiveSync. HTC S740 has internal GPS receiver. Although that does not have a screen too large, but with the internal receiver such as this we can do many things. Unfortunately the S740 does not feature a navigation map and features a digital gift, but for the Google Map already installed on the phone. But all the same, considering the Google Map has a streaming system that charges up when a map display area. The solution is to buy an application that has a navigation map of a country and a navigation system can be trusted. For Windows Mobile environment, the application is easily searchable. S740 has a combination of Windows Media Player Mobile music player with a typical HTC Audio Manager. Besides music and video player, mobile phone also features 3.2 megapixel camera, but unfortunately does not have autofocus features. Many features on the HTC S740 extravagant, to the powerful battery that is needed to maintain the power supply. Elections Lithium Polymer type of battery is the right strategy. 1000mAh capacity but still dititik a standard mobile office. Design a charm utam HTC S470, but not the only one offered by the phone. Price is typical office phone is enough to put this product in a specific class. Especially when you see the features and view that are. Unfortunately some things are still not satisfactory. The small screen, not the default navigation features and shortfalls of the OS that will take a little scotch. Especially for you who do not want to be bothered after the purchase of this product.